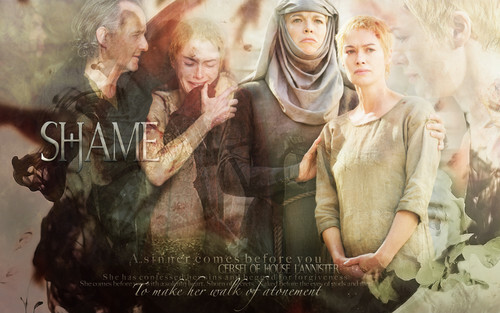 Cersei Lannister. . HD Wallpaper and background images in the Game of Thrones club tagged: game of thrones season 5 lena headey cersei lannister. This Game of Thrones wallpaper might contain ishara, bango, maandishi, ubao, matini, ubao wa chokaa, mitaani, mji eneo la tukio, mijini mazingira, jiji eneo, and mijini kuweka.